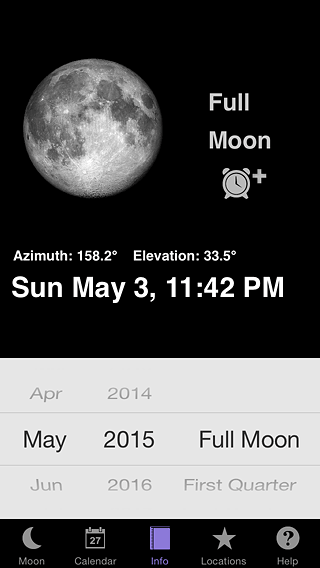 A beautiful moon calendar app for iPhone & iPad with an easy to use interface. Find everything you wanted to know about the Moon in a quick glance. 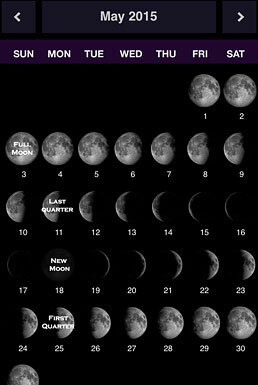 View Moon calendar for any month, any location. 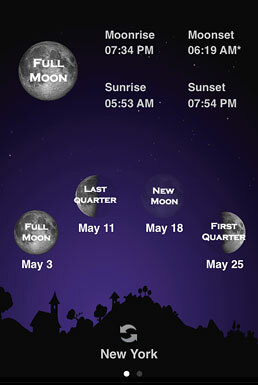 View Moonrise, MoonSet, Sunrise and Sunset times. 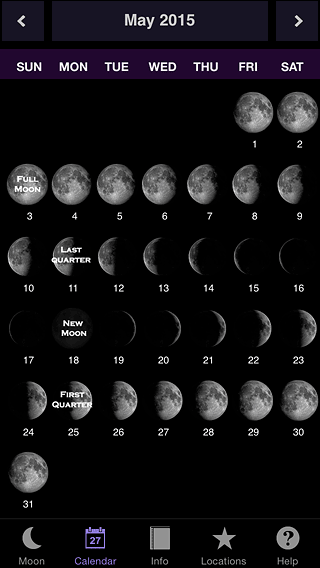 Find the exact time a Full Moon, New Moon, First & Last Quarter occurs. Set reminders for important events. Add reminders to your device calendar. 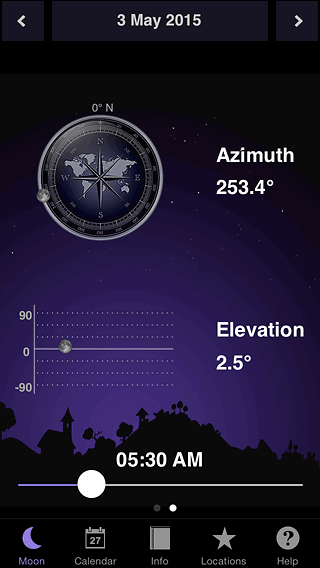 Find the elevation and azimuth of moon at any time. Save multiple locations and easily switch between them. Search for addresses by street address, zip code or geographic co-ordinates. Optimized for iPhone 5, iPhone 6, iPhone 6+ and for all iPad models. Universal app. Buy once and use it on iPhone, iPod touch and iPad.